The first LEED-CI project in Philadelphia and the first LEED-CI Gold certification anywhere in the U.S. Natural daylight is maximized in the open work areas through the use of light shelves on all south facing perimeter windows and the upgrade of existing old technology window film to UV-filtering. 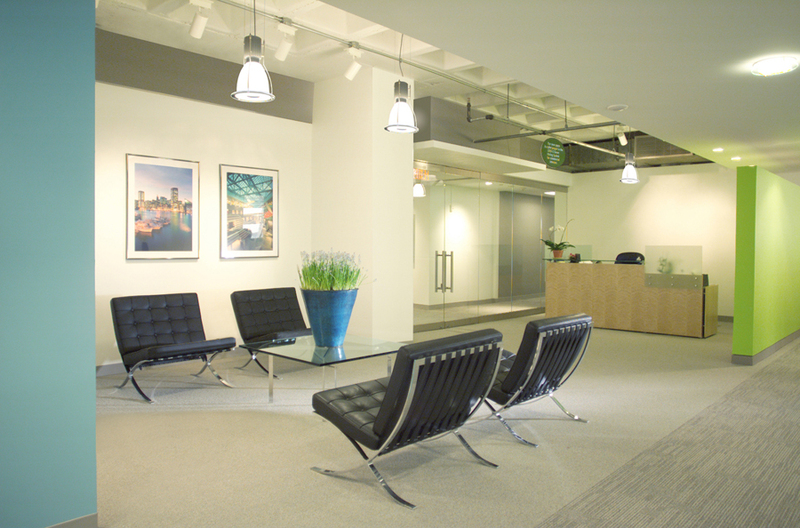 Wallace, Roberts, & Todd is an architecture and urban planning firm with offices in six cities. 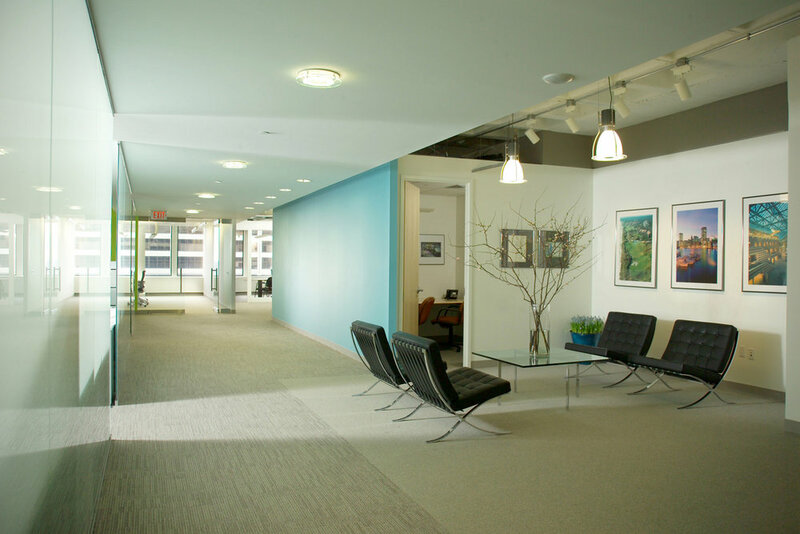 Their full-floor 28,000 SF Philadelphia office was developed with WRT as a model of sustainable design principles. It was the first LEED-CI project in Philadelphia and the first LEED-CI Gold certification anywhere in the U.S.
Natural daylight is maximized in the open work areas through the use of light shelves on all south facing perimeter windows. Additionally, the windows were upgraded from an outdated technology to UV-filtering film. All materials are of significant recycled, recyclable and/or renewable content; finishes with low VOC, non-toxic materials or no off-gassing materials were specified where possible. Doors are solid-core and certified to acceptable forestry standards. Workstations were also selected for their green design and are Greenguard-certified for low emissions. Work surface substrates are of woodstock with non-formaldehyde-emitting glue. At least 20% of the building materials were manufactured regionally, and construction waste was recycled throughout construction. LEED-CI Gold Certification was awarded.